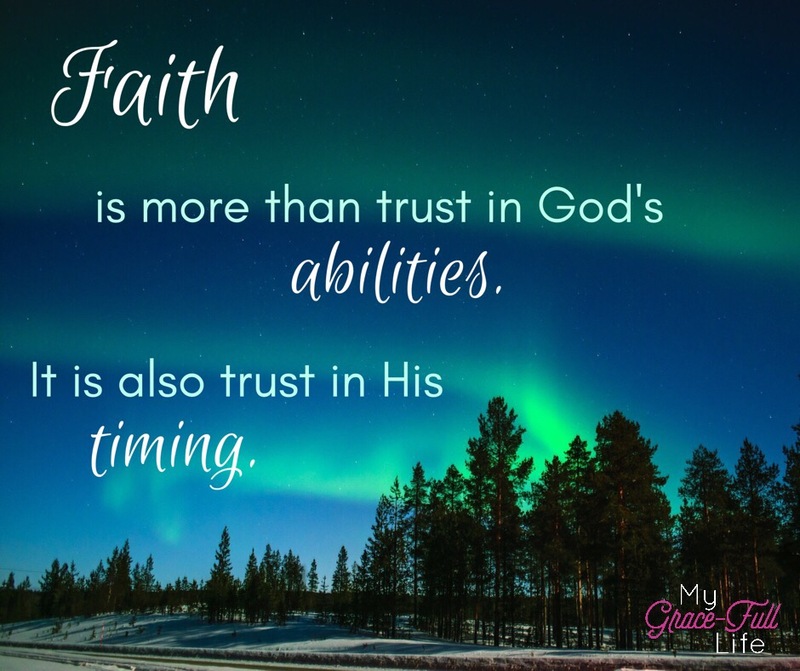 PRAYER PROMPT ••• When it comes to faith, it’s not a lack of trust in whether or not God CAN do something… it’s a lack of patience on His timing. Just as the old cartoon depicts the miner walking away after digging and digging, discouraged that he didn’t find what he was looking for, so is our tendency to give up when our prayers aren’t answered according to our time table. But if you’ve seen the cartoon, you know that the miner was inches away from a great treasure… a reward for his efforts and persistence. God’s timing is not ours. We say it; we know it; yet we continue to expect Him to operate according to our clock. Through faithful patience, we grow stronger as Christians and more importantly, grow closer to God through our prayers and dependence on Him. He will sustain us as we wait. Today, as you pray, ask God to give you faith… not just strong enough to move the mountain, but faith strong enough to wait for Him to prepare the foundation on which the mountain will sit. Pray for encouragement and ask Him to keep your heart confident in the perfection of His timing.